Sleigh Toddler Bed lets your little one have a safe and sound sleep. 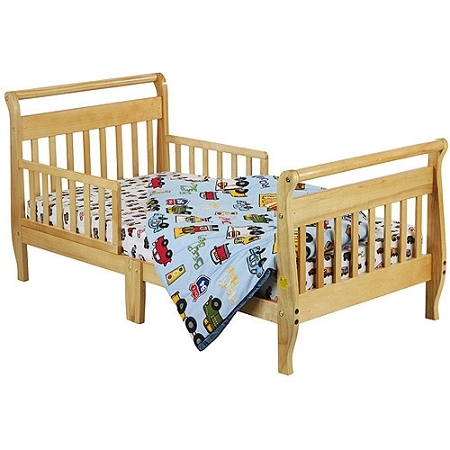 Made from solid pine wood, this toddler bed is sure to last for years. With a non-toxic finish and safety rails on two sides, this toddler bed offers utmost safety to your child. The low-to-the-ground profile of this natural toddler bed makes it easy for your child to jump in and out. It is also a little larger than a typical baby crib, which is why it is perfect for toddlers. It is great for small rooms as it does not take up too much space.